Spa Girl is running out of places to visit! If YOU have spa or massage suggestions, please, prettypleasewithcherryontop put 'em below in the comments section :) And I will make sure to include your name/ blog in the post. I think it is time for me to do a revisit. And yes, I probably was coaxed to try this place again because they had a wonderfully priced massage package but I will get to that later. That and proximity to where I live. So, which massage place did I choose to do a revisit? But that place will be covered in my next post. 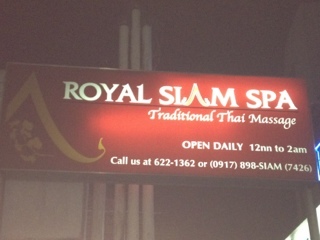 :p Today, let's talk about Royal Siam Spa. If you want to visit my initial review of the place, go here. I've never perfected the "art" of wearing matte lipstick. I know how to put it on but after 5 minutes, my lips have patches of vibrant red and patches of my natural lip color. That's why I stick to lip tints, lip balms and lip moisturizers. 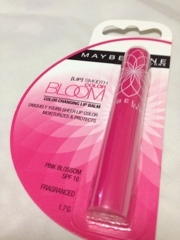 And I think I just discovered the ultimate lip balm that can replace my lipstick needs - Maybelline's Color Bloom Lip Balm. This color changing balm seems so innocent. When you open it, the stick is colored white. But when you schmear it on your lips, be ready for a surprise after a minute of application! So for all you women out there who eat lipstick unknowingly, giving you that patchy-lip look, try this one and lemme know what you think! *Edit July 3, 2013: Unfortunately all the Watsons, Rustan's and other stores that I've visited no longer carry this item. If you guys know where I can buy this, leave me a note below. I've found an alternative by using EB's Magic Lipstick - Apple variant. It's less moisturizing but, hey, close enough. June is here which means classes are back on. Yeyhappyfuntimes for those who really love school work and sadboohootimes for students who wanted to have a May 32 just to stop the calendar from stepping into that inevitable June 4, Monday. And now that classes are back on, my taste buds were screaming for some college date food experience. 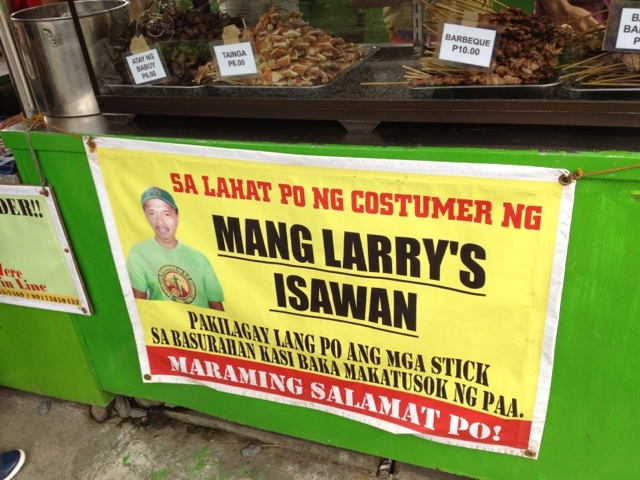 Our ultimate tipid college date is our trip to UP Diliman to sample Mang Larry's Isawan.